I am not complaining, but actually liking it. The movie industry can't seem to have enough of Yip Man, a Wing Chun martial art grandmaster and master of Bruce Lee. The best known movies that I've enjoyed so far was the famous trilogy, the first of which was in 2008 directed by Wilson Yip. I am quite excited to say that there is one other coming our way entitled The Grandmaster and was directed by Wong Kar-wai. I am more excited because it includes one of my favorite actresses, Zhang Ziyi. She will play against Tony Leung's Ip Man along with Chang Chen, Zhao Benshan, Song Hye-kyo and Wang Qingxiang. It is based on the screenplay of Wong Kar-wai, Zou Jingzhi and Xu Haofeng. The movie has released 3 new movie clips and 3 TV spots which you can watch below. Directed by acclaimed filmmaker Wong Kar Wai, THE GRANDMASTER is an epic action feature inspired by the life and times of the legendary kung fu master, Ip Man. The story spans the tumultuous Republican era that followed the fall of China's last dynasty, a time of chaos, division and war that was also the golden age of Chinese martial arts. 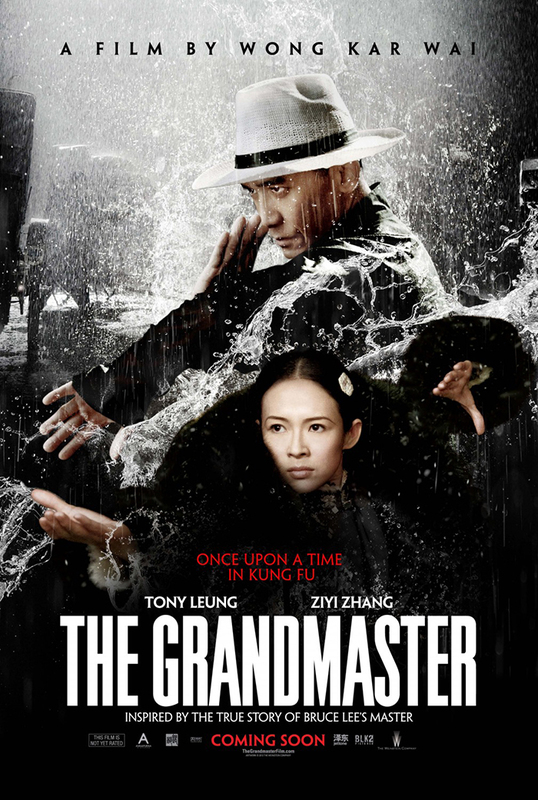 Filmed in a range of stunning locations that include the snow-swept landscapes of Northeast China and the subtropical South, THE GRANDMASTER features virtuoso performances by some of the greatest stars of contemporary Asian cinema, including Tony Leung and Ziyi Zhang. Here is the new trailer of The Grandmaster should you missed it. The Grandmaster has been released in China and Hong Kong last January 2013 and its international release will be on August 23, 2013.